Morocco 4×4 Tours offer the best way to discover the Sahara Desert & Berber Villages in the Maghreb. When visiting a country like Morocco, your journey is best served when traveling by luxury accommodations to the Sahara Desert such as a 4×4 Toyota Land cruiser. 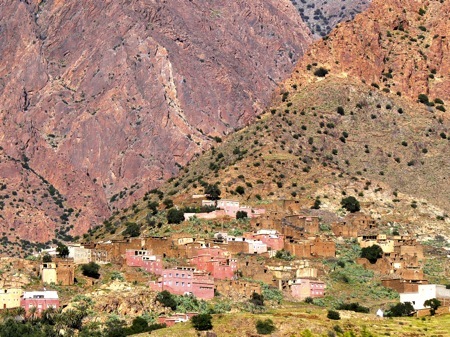 A Morocco Travel journey to the Sahara Desert and Berber Villages offers the opportunity to discover old pistes (windy roads) that were once traveled through by the old caravans. Covering the routes of the old caravans and rocky Sahara Desert pistes is best done in a 4×4 when touring Morocco. A Morocco 4×4 Tour allows you as a Moroccan traveler and your family to visit tiny Berber villages and hamlets that are located throughout the country’s Sahara and Atlas Mountain regions in relative ease and comfort. When traveling in a 4×4 during your Morocco Tour, you will also be able to feel care free as a result of long distances that exists between cities such, as Marrakech and Ouarzazate, Ouarzazate and the Merzouga Sahara Desert, Ouarzaztae and the M’hamid Sahara Desert and Marrakech and the Tizi N’ Tichka pass. 4×4 Morocco Travel enables guests who take a private tour to Morocco to relax in comfort in between arriving at their local Morocco holiday destinations. Morocco 4×4 Tours also offer a kind of unique adventure that cannot be found when traveling in large tour buses or small cars in Morocco. A 4×4 Morocco Tour feels more like a Morocco expedition then a standard Morocco vacation. Morocco 4×4 Tours are your key traveling through the Atlas Mountains, the Sahara Desert and Tizi N’ Tickha Mountains with the utmost ease. A 4×4 enables Moroccan travelers to see a wide range of stunning Moroccan scenery and the option to be free and stop to take photographs at leisure. 4×4 Morocco Travel also allow for a customized Morocco Tour itinerary. When traveling throughout Morocco in a 4×4 there is an opportunity to explore a variety of different routes within the Sahara and Atlas Mountain regions then when traveling by bus or car. Some say, that to see the “Real Morocco,” a journey must be done in no less the 10 days in Morocco and the best way to accomplish this is on a private Morocco 4×4 Morocco Tour. Traveling in a 4×4 also offers the privacy to explore on your Morocco vacation without the nuisance of other travelers. Morocco 4×4 Tours also offer 4×4 excursions to the cities of Marrakech and Ouarzazate. As a Morocco Travel Agency and Destination Management company based in Ouarzazate, Travel Exploration Morocco promises to deliver the best on road and off road experience during a 4×4 Morocco Tour. 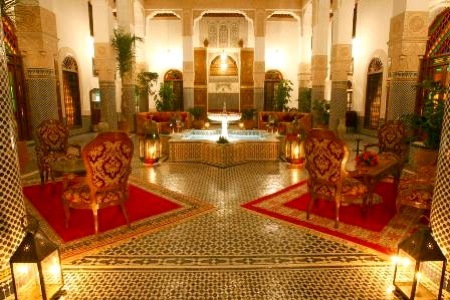 With our American-Moroccan partnership, Travel Exploration Morocco guarantees that our guests will discover the best of Morocco through our expertise of planning and placement in the best Riads in Marrakech, the best Riads in Fes, the best Riads in Ouarzazate and luxury bivouacs in the Sahara Desert. Travel Exploration Morocco also works with the top 4 and 5 Star Riads in Morocco that offer a palace-like unique atmosphere with spectacular Moroccan Food. In Southern Morocco Travel Exploration Morocco works with some of the best Riads and Guesthouses that offer the most majestic views and magnificent traditional Moroccan cuisine. Travel Exploration Morocco is a proud member of ASTA– the American Association of Travel Agents. As a member of ASTA, Travel Exploration Morocco guarantees our guests trip through an ensured plan. ASTA- The American Association of Travel Agents offers Americans, Europeans and other foreigners the option to travel with ease, knowing that the Morocco Travel Agency and American- Moroccan Destination Management Company that travel agents collaborate with is officially approved by American Travel counterparts. When planning a Morocco 4×4 Tour it is important to consider the wide variety of options that agencies offer. 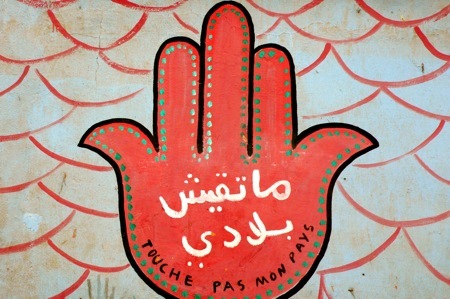 Some helpful tips that will make your Morocco 4×4 Tour….simply the best. Make a list of what is most important to you during your Morocco 4×4 Tour and ask the Morocco Travel Agency to answer the questions you have in full detail. Ask a Morocco Travel Agency or Morocco Destination Management Company what they plan to provide you with during your 4×4 Morocco Tour that is different from others travel agencies which will enable you to have the best Morocco travel experience. Make sure that the Travel Agency you book a Morocco Tour with is either a member of ASTA- American Travel Association or a member of his/ her own country’s Travel Association. A true sign of this is for the Morocco Travel Agency to have the logo of the association they are a member of posted on their website and included in their brochures. You can also log on to ASTA- American Association of Travel Agents website and check if an agency is a member. Make sure that the Morocco Travel Agency you work with during a Morocco 4×4 Tour guarantees that they will spend more per guest and on your comfort through providing the best quality Riads or Hotels and food accommodations. Travel Exploration Morocco has a reputation of spending 20% more per guest to ensure safe, enjoyable and comfortable travel and accommodations. This is a must when traveling to the Maghreb. A good Morocco Travel Agency always asks you questions about yourself, lets you know that, as the guest who is traveling to Morocco, you come first and provides you with a complete organized list of what to bring for your travel experience. You are currently browsing the archives for the American Association of Travel Agents category.